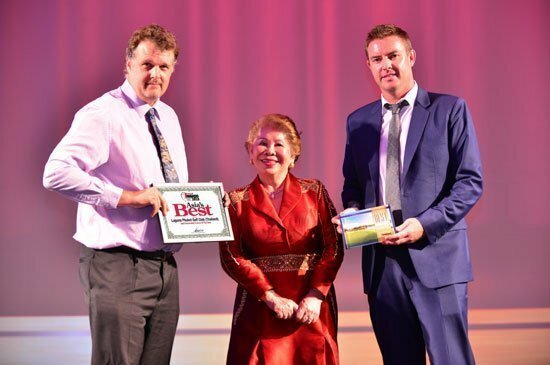 Laguna Phuket Golf Club’s Director of Golf Mr Paul Wilson (right) and Golf Course Designer Mr Paul Jansen (left), receiving the awards from Ms Angela Raymond, President of Asia Pacific Golf Group (centre) at the recent Asia Pacific Golf Summit in Singapore. 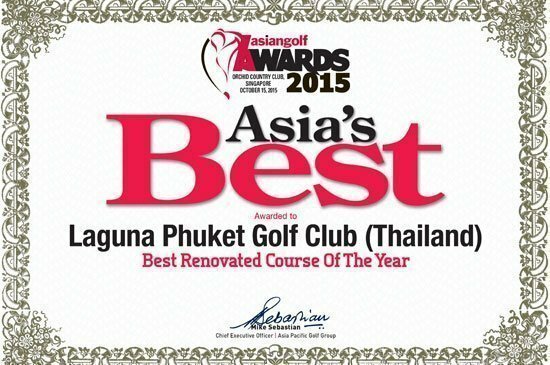 After a comprehensive and immense 18-month golf course upgrading project, Laguna Phuket Golf Club bagged three prestigious awards at the Asian Golf Awards 2015 ceremony – devoted to recognising and honouring the best in the Asia Pacific Golf industry – held in Orchid Country Club in Singapore. Besides being named the Best Renovated Course of the Year, it was also voted Top 10 for Best Maintained Course in Asia Pacific (ranked 5th) and Top 10 for Best Course in Thailand (ranked 8th). 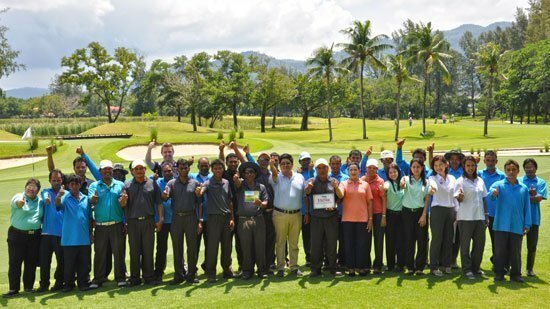 Billed as offering a New Look, New Experience in accordance to its tagline, Laguna Phuket Golf Club’s redevelopment was completed in-house, by the concreted efforts of its very own maintenance team, under the direction of renowned Golf Course Architect Mr Paul Jansen. The redesign has created intriguing and strategic interest while being environmentally conscious and sustainable. 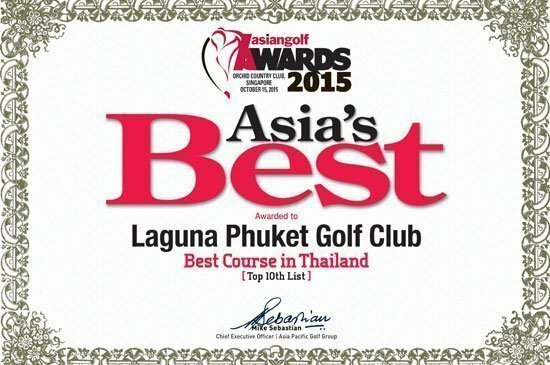 “The awards go to our entire golf team here at Laguna Phuket Golf Club and are fine testimonies of the dedication and hard work throughout this project. We are delightful to have a team of like-minded associates, who truly share the same passion for golf as our members and guests,” enthused Director of Golf Mr Paul Wilson. The awards were presented to the golf course maintenance team, who deserve the most credit for their hard work in bringing the golf course to international standards. The annual Asian Golf Awards was established by the Asia Pacific Golf Group (APGG), the longest established specialist golf media house in the region. Being the organiser of the prestigious Asian Golf Awards, it is known as the golf industry’s equivalent of “The Oscars” in the Asia Pacific.